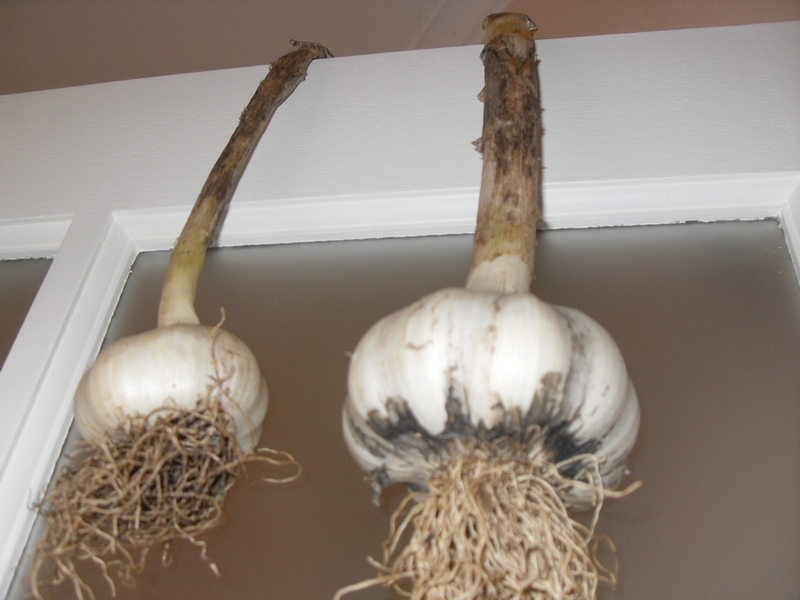 There always seems to be a shortage of garlic at my house. Either we use it all, or use none and those little green shoots start coming out of the cloves. Sometimes they are not good to start with, and smell like they have been sitting in water. 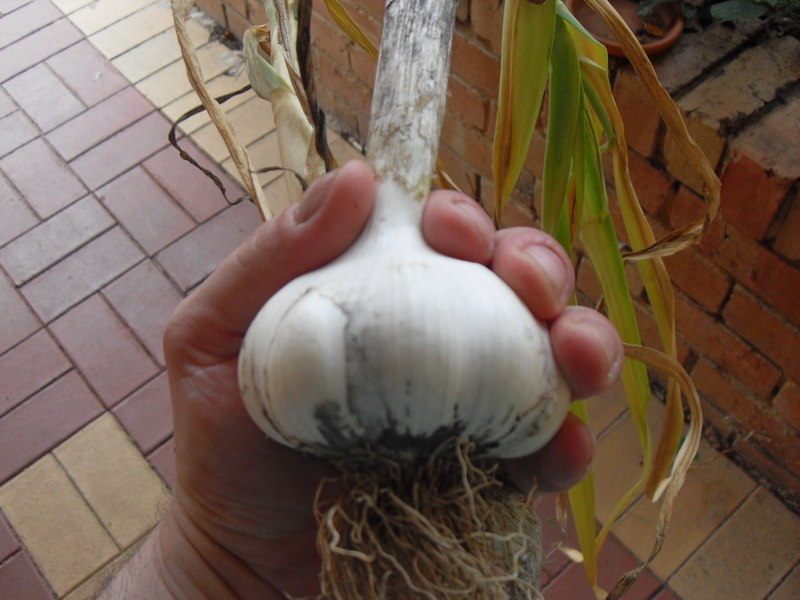 Then there is the issue about garlic coming in from China and Mexico, why don’t we just grow it all here? I started planting garlic earlier this year, from those poor little cloves that started to grow shoots while still in the kitchen. Over Winter they sat in a lovely coffee compost, and really started to grow as the soil warmed over Spring. With our supermarket supplies of poor quality garlic running low, I thought it time to pull out a couple and get them into the food. As you can see below, they were growing very well in the garden. This monster garlic is going to take a few weeks to get through. And must remember to keep a clove or two for planting. This garlic plant was sitting in plot 1, which has been treated to large quantities of coffee grounds added directly, horse manure, and compost (with yet more coffee grounds). 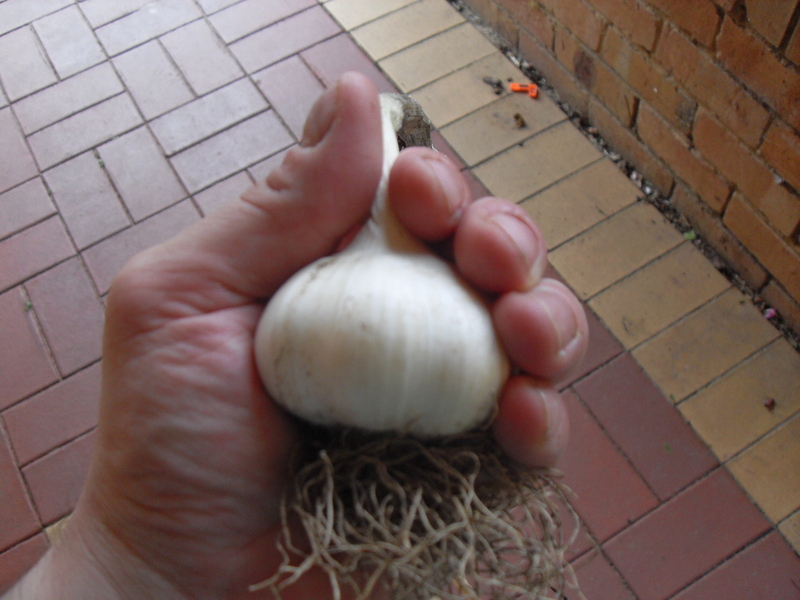 This is what you would consider a normal sized garlic. 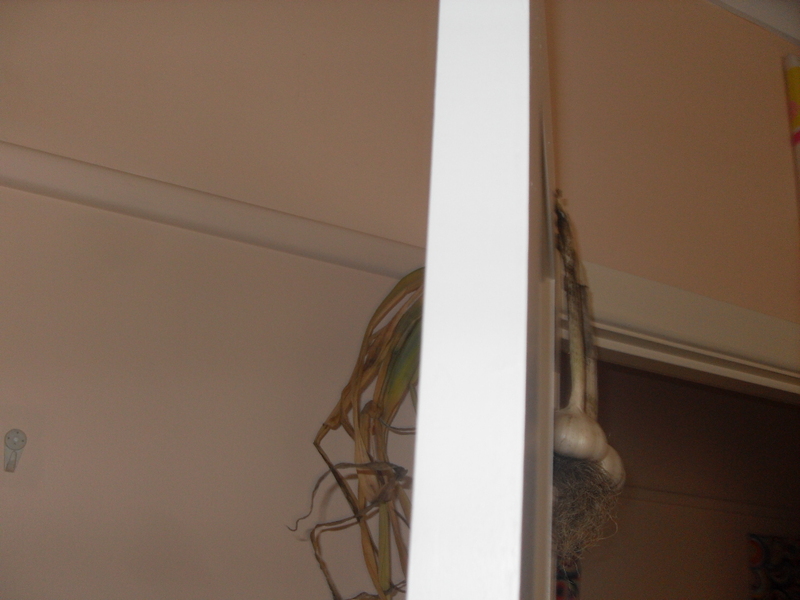 I could tell it would be smaller by the thickness of the stalk but the difference between the two really surprised me. You know, just hanging garlic out to dry. A good place to dry out, and when the sun comes out again they will sit outside for a little while. At the base of the monster garlic you can see the soil clinging to the roots, which is more or less from coffee grounds, horse manure, and garlic. 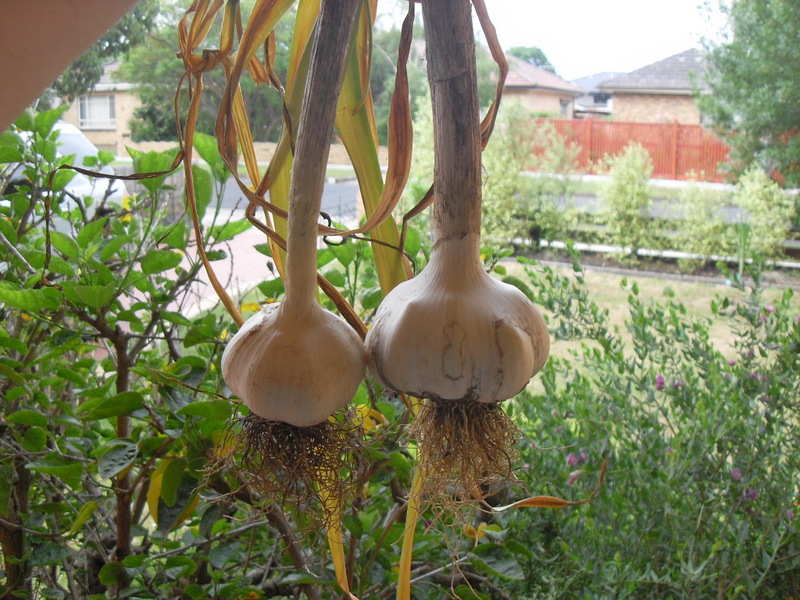 If you are considering growing garlic plants at home, keep in mind that they grow well in coffee grounds, be that added directly, or via the compost. Tags: coffee grounds, compost, garden, garlic. Bookmark the permalink. Just started growing a batch of garlic in a coffee compost like you suggested. I’m finding that the plants are growing nice and strong and none of them have died yet. Normally loose a quarter before they are ready so maybe it was something to do with the soil. Will keep adding coffee grounds to the soil and see if it helps other plants. Fantastic to hear CJ, Well done!